Newsmaker is a fully responsive, clean and elegant WordPress theme that is ideal for personal blogs or simple magazine-style sites. Theme comes with a great typography and focus on readability. 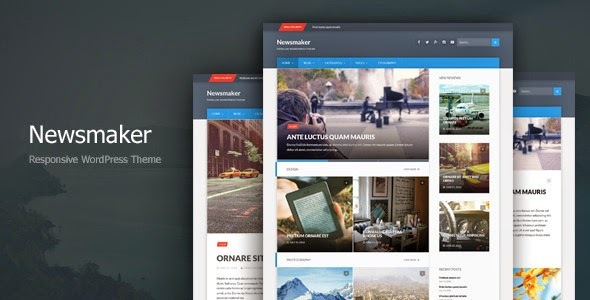 Item Reviewed: Newsmaker - Responsive WordPress Theme 9 out of 10 based on 10 ratings. 9 user reviews.